An ideal destination for adventure enthusiasts, the valley of Leh Ladakh is no match for the other rugged regions of India. Adventure in this Trans-Himalayan region of India has its own taste and meaning. 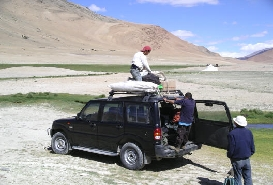 Leh Ladakh is blessed by high altitude ranges, massive lakes, scenic trails, deep valleys and high passes. These nature’s creations set up a platform for a great variety of adrenaline pumping action. Numerous adventure sports can be enjoyed in this region like mountaineering, cycling, trekking, and river rafting are a common sight in Leh Ladakh. 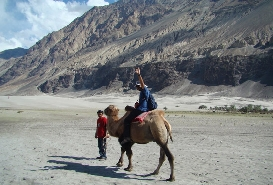 Most of tourist travel to Ladakh for scaling its rugged landscapes on foot. 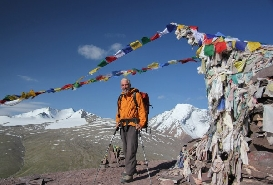 The region offers many trekking routes like from Spituk to Markha valley and Hemis Gompa. Some of these trekking routes offer long excursions, while some finish in a single day itself. On the flip side, one can continue with a mountaineering expedition even during the winter months. 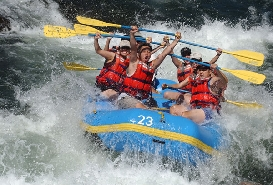 River rafting at the confluence of Indus Zanskar rivers is also one of the best adventure sports to enjoy in Leh Ladakh.